Frank Stronach, one of the most colorful, controversial, and accomplished businessmen in Canada, is set to turn his focus to electric vehicles after letting go of the reins at Magna International. Magna said this week that Stronach would step down on May 4 as chairman of the auto parts company that he started as a one-man tool and die shop in a Toronto garage in 1957. It's now a firm with 96,000 employees that expects revenues of around $27 billion this year. Stronach, now 78, joked at Magna's 2010 annual meeting that he would never really retire, although the idea of spending more time skiing and playing tennis had its allure. "My own personal view is that Frank's taking all of those same features (that he brought to Magna) and he's going to apply them to the electric car," said Dennis Mills, a former vice-president of Magna and chief executive of the company's real estate arm, MI Developments, where he's now vice-chairman. "That's where his passion is. And when he has a focus, it's like a laser." Stronach has described electric cars as "a very very top priority." "To me it's always been amazing when we add all the gasoline in the world ... it's like the Hudson River flowing down every day, and you don't have to be a great scientist to know that that will end sooner than later," he said at the company's 2008 annual meeting. Stronach built on that passion for electric and hybrid cars last year when he traded his controlling shares of Magna for $300 million, new equity in the company, four years of lucrative consulting fees, and control of E-Car, in which he holds a 27 percent stake and Magna holds the balance. 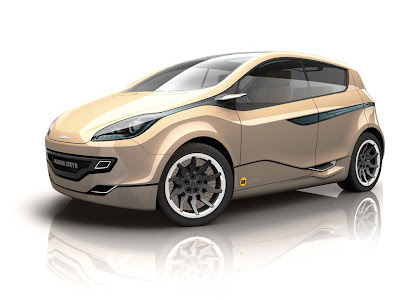 Magna introduced an electric car last year designed to showcase the parts and technology it could offer, and the company also helped Ford develop its Focus electric car. Stronach emigrated to Canada from Austria at the age of 21 with a suitcase and some pocket money. "I experienced what it was like to be hungry, to be discriminated against and to be treated unfairly," he said. His personal fortune is now estimated at $1.7 billion, but his first job in Canada was peeling potatoes and washing dishes in a hospital kitchen. Over the years, Stronach prided himself on treating his workforce well, introducing profit-sharing long before it was common, and running individual plants as separate entities as a way to encourage and reward individual workers. But he ruffled many feathers along the way, especially among shareholders who disliked his tight control of the company and scoffed at his multimillion-dollar paydays. Complaints centered on the now-bankrupt horse racing venture Magna Entertainment, as well as failed bids to buy Chrysler in 2007 -- Stronach later said Magna "dodged a bullet" there -- and General Motors Co's Opel unit in 2009. Magna's chateau-style headquarters is nestled amid farmland about 50 km (30 miles) north of Toronto on a sprawling estate that includes Stronach's mansion, homes for other members of his family, an 18-hole golf course and thoroughbred stables. Stronach has been the top breeder and owner of thoroughbreds in the United States for eight years. He recently struck a deal with MI Developments in which he gave up voting control in return for racing, gaming and other assets that once belonged to Magna Entertainment. The assets include some of the most fabled U.S. racetracks -- Santa Anita Park, Golden Gate Fields, Gulfstream Park, Portland Meadows -- and interests in Maryland Jockey Club. Stronach grew up in the southeastern foothills of the Austrian Alps as the son of a Communist labor activist and a factory worker. He is married with two children. "He's still very vigorous, energetic and in good health. So he's not going to just lay back and watch his horses graze in the field," said Anthony Faria, a business professor at the University of Windsor, across the river from the U.S. auto center of Detroit.